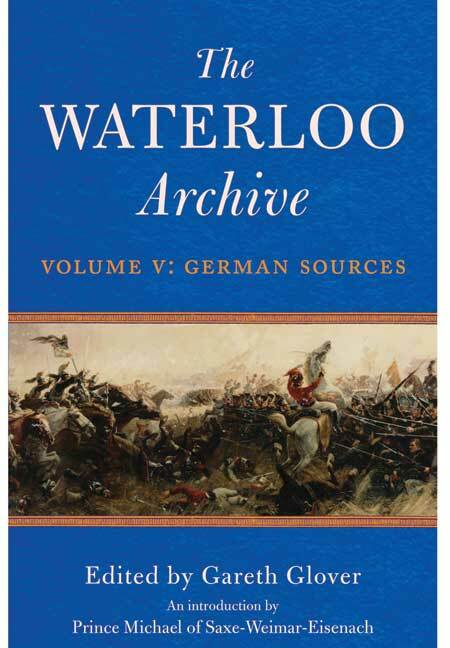 You'll be £7.00 closer to your next £10.00 credit when you purchase The Waterloo Archive: Volume V. What's this? Much of the material available to readers in the English language interested in the exploits of the troops of Hanover, Brunswick and Nassau is in the form of dry official reports which stick to the basic facts and avoid all sentimentality and emotion. However, unbeknown to virtually anyone in the English speaking world interested in the more human aspects of these 'foreign' troops fighting alongside the British at Waterloo, there are a number of memoirs and sets of letters which have been published in Germany over the last two centuries. Until now, these had never been translated into English and so have been inaccessible to the vast majority. This volume seeks to put this right and to bring to life the human story of these German troops – their trials and tribulations, their sufferings and their emotions – and to finally reveal their views on the battle which many entered with mixed emotions. Highlights include an account of the confusion in the final 'great advance' at Waterloo; eyewitness recollections of the defence of La Haye Sainte; rare battle reports by the Duke of Wellington; and a fascinating series of letters explaining the whereabouts of a number of 'missing' Hanoverian regimental and staff surgeons and subsequent court martials. Another superb book in this series. This collection will be an invaluable resource for future generations. If you read nothing else about Waterloo in its 200th anniversary year, you should read this. This volume seeks to bring to life the human story of these German Troops – their trials and tribulations, their sufferings and their emotions – and to finally reveal their views on the battle which many entered with mixed emotions. Excellent. Covers a good range of participants, and includes accounts of the days after the great battle. This is a marvellous addition to our understanding of the campaign, the army and the era in general. An incredible collection of primary sources. Historians and students of the 1815 campaign will find fresh items of real value in these books. The book works through the various north German Contingents, adding a Prussian account at the end just to be exotic. With the reservation that you have to be very into Waterloo, this is a fine book, to be highly recommended. It is the most surprising and most enjoyable volume of the Waterloo Archive so far.